This book was published as a part of the highly acclaimed Counselling primer series from PCCS Books which is suitable for both beginners and higher level students who want a succinct boost to their knowledge of a particular area. Beginners will find the style companionable and reassuring, while more advanced readers will appreciate the incisive and authoritative writing with pointers for further reading and resources. Trainers will find the series a dependable learning aid. 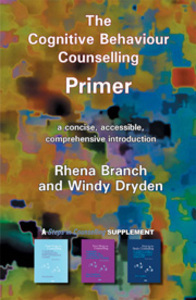 Counselling primers bridge the gap between introductory, intermediate and diploma level courses, each book providing a concise overview of a particular counselling approach. Each Counselling primer can be a perfect essay resource or a springboard for further study.